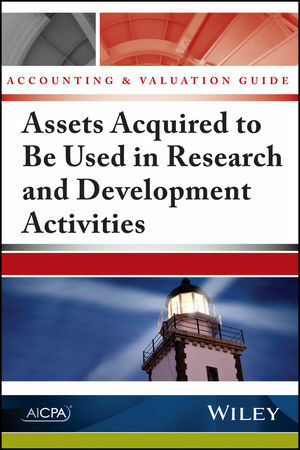 This new guide provides guidance and illustrations regarding the initial and subsequent accounting for, valuation of, and disclosures related to acquired intangible assets used in research and development activities (IPR&D assets). This is a valuable resource for preparers of financial statements, auditors, accountants and valuation specialists seeking an advanced understanding of the accounting, valuation, and disclosures related to acquired IPR&D assets. Founded in 1887, the American Institute of Certified Public Accountants (AICPA) represents the CPA and accounting profession nationally and globally regarding rule-making and standard-setting, and serves as an advocate before legislative bodies, public interest groups and other professional organizations. The AICPA develops standards for audits of private companies and other services by CPAs; provides educational guidance materials to its members; develops and grades the Uniform CPA Examination; and monitors and enforces compliance with the accounting profession’s technical and ethical standards.